Cramer & Anderson Attorney Lisa Rivas. Danbury takes pride in its diversity and the contributions of cultures that enliven the city with a panoply of world flavors experienced through the cuisine of countries stretching from India to Latin America, and through vibrant arts and cultural traditions. 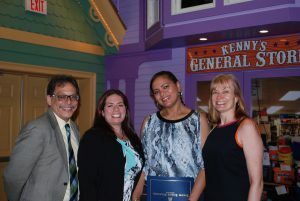 One of the proudest moments for the Hispanic Center, its staff and its volunteers took place Thursday, June 2, when new U.S. citizens were recognized with pins at the Citizens Recognition Breakfast, held at the Family & Children’s Aid Child Guidance Center. At the breakfast, keynote speaker Ingrid Alvarez-DiMarzo, Connecticut State Director of the Hispanic Federation, and guest speaker Emanuela Palmares, Editor-in-Chief of Tribuna Newspaper, urged the new citizens to vote, to speak their minds and to be active as citizens to collectively shape a new, better future. This year’s breakfast included a special recognition for Cramer & Anderson Attorney Lisa Rivas, who received an Above and Beyond Award. 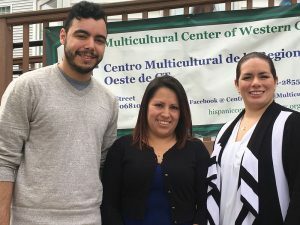 “We love working with you and appreciate all you do at the Hispanic Center,” Andrea Contreras, the Interim Executive Director of the center, wrote to Attorney Rivas in an email. 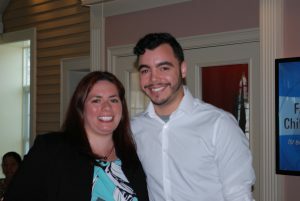 “I was definitely surprised,” said Attorney Rivas, whose practice focuses on Immigration Law and includes experience with removal proceedings, asylum interviews, family petitions, employment petitions, National Visa Center processing and Consular processing. As a volunteer at the Hispanic Center for more than five years, Attorney Rivas teaches a citizenship course so popular that it has gone from being offered once a year to four times annually. She teaches two of those four classes and two other immigration attorneys handle the remaining classes. “Each class is for eight weeks, and they are two hours a week at night,” she said, estimating that there are 25 to 30 participants in each class. “We want to make this as easy of a transition as possible, and help them prepare. We teach them the history behind the 100 civic questions they are going to have to answer,” Attorney Rivas said, explaining that given the $680 cost to apply for citizenship, she doesn’t want to see someone apply, not study or prepare, and then get denied. The attorney’s volunteerism also has her doing community talks, on such topics as Connecticut’s driver’s license program, the myths and realities of immigration-related issues and the status of executive actions implemented by President Barack Obama, including his executive order that removes the fear of deportation for millions of immigrants—which is subject to a preliminary injunction pending a decision from the U.S. Supreme Court. “He has helped thousands of students, and depending on how the Supreme Court rules in June, millions of parents throughout the country could benefit from his executive order,” Attorney Rivas said of President Obama. In addition to volunteering at the Hispanic Center, Attorney Rivas makes herself available as an attorney for consultations with anyone who has a legal issue. “What happens with immigration is that you’re involved in different aspects of people’s lives,” the attorney explained of her work in trying to unify families, and help people make the life-changing transition from being not just a resident of the U.S. but a citizen. “We have so many people who want to become citizens so they can participate in the elections this year. There’s so much riding on it,” Attorney Rivas said. She is also excited about another role she plays in helping the Latino community in Greater Danbury. As a member of the executive board of the Latino Scholarship Fund, she will help present scholarships to graduating high school seniors at an event in early June whose details are still being determined. 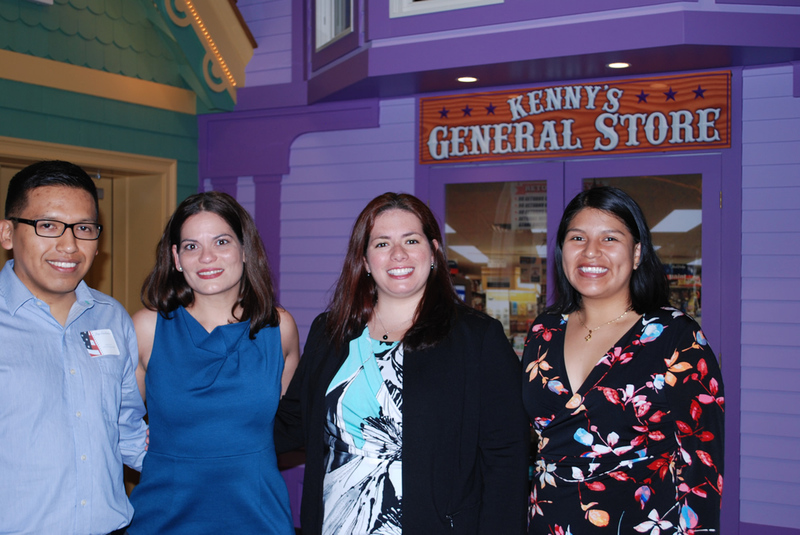 Attorney Lisa Rivas, right, at the Hispanic Center of Greater Danbury with Alex Zapata, a Case Manager and BIA accredited representative, and Andrea Contreras, the Interim Executive Director of the center. 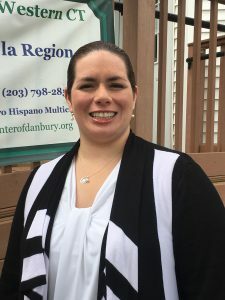 In her third year at Cramer & Anderson, Attorney Rivas is the only bilingual attorney in the Danbury office, and works with other attorneys through the firm’s five offices in Western Connecticut if they need help with Spanish. Given the community-enriching demographic trends in Greater Danbury, that need will only increase. Attorney Rivas may be reached by phone in the Danbury office at 203-744-1234, or by email at lrivas@crameranderson.com. 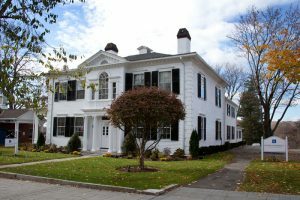 For more information, see the Cramer & Anderson website or call the New Milford office at 860-355-2631.